Carole's Chatter: Boy that's a scary thought... what do you think? Boy that's a scary thought... what do you think? I think my grandchildren and my siblings grandchildren all have good childhoods. 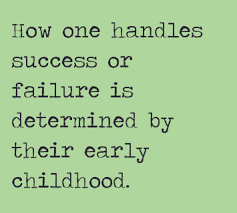 I’m thinking they will be more prepared for either success or failure than we were and there is certain to be a like amount of both in any given life.